Contents - the content templates determines what information will be presented in the report. 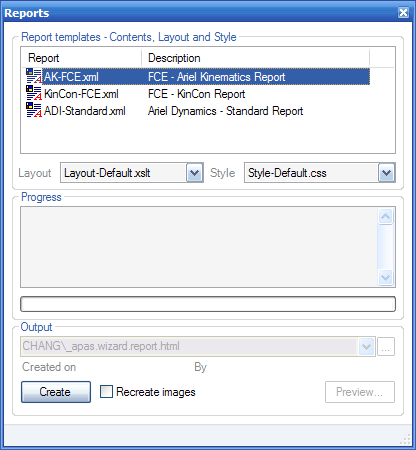 Only report templates applicable to the current analysis will be shown. Layout - determines the layout (one-column, two-columns, etc) of the above information. Style - determines the style (colors, fonts) of the above information. Generated on 4/22/2019 11:54:49 AM (PST) ADI/HQ/GBA/2019/ARIELCLOUD/v3.0.2018.0126.